Six men take their lives every day. 20 out of 100 men will suffer anxiety. Another 12 out of 100 will endure depression. For the third year running, Black Sheep is using pedal power to promote a conversation about Men’s Mental Health. No corner of the world will be left unturned in our quest to lend a voice to the issue of Men’s Mental Illness. In 2018, the Chaos Collection has a deeper meaning. Within the colourful chaos of aquas, blues and pinks, are three symbols that reference harrowing male mental health statistics. Statistics that are simply incongruous to us all. Statistics that will not change without action. This is our way. Michael will ride 1000km from Swan Hill to Melbourne, Victoria. The bike is a true metaphor for the way in which my life continues to be shaped. 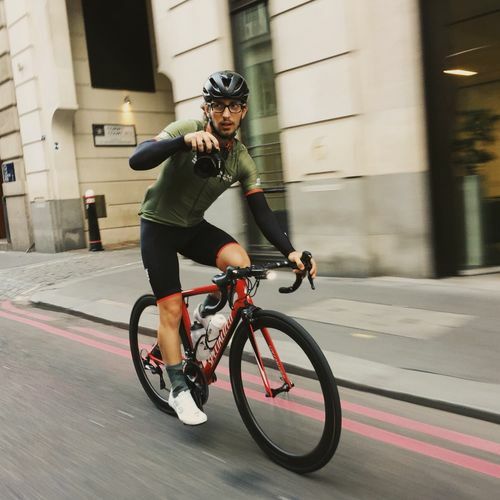 From my late teens, the direction I’ve rolled has largely been orientated around various friendships connected to the incredible world of cycling. From BMX, to road, then triathlon and later mountain biking and bike packing, I love it all. So, it may come as no surprise that despite doing formal training in graphic design and photography, that when my helmet is off, I’m still chasing wheels. I work full-time in the bicycle industry for a well-established American brand. Like many people in the industry, my role frequently changes based upon various demands, so it’s most easily described as ‘marketing’. It’s a vibrant, fast-paced industry that, most importantly, encourages us to ride at lunchtime. My journey, friendships and employment are all fuelled by my passion for pedal power. Majority of the time work and play is so intertwined it’s hard to know when I’m on and off the clock. This ambiguity has been challenging at times (amongst other factors) and has led to an overwhelming but enlightening journey, which I am grateful to be able to share through the Man Ride. Farinaz will support Michael riding 1000km from Swan Hill to Melbourne, Victoria. It’s hard to believe that three years have passed since I bought my first road bike. What a magnificent journey it has been. Of course, it hasn’t always been easy. Just over five years ago my ongoing battle with depression wasn’t going so well; I weighed just over 90kgs and the thought of any form of exercise seemed impossible. After some serious discussions with myself (we’ve all been there!) I decided to shake things up a bit. As part of my lifestyle change, I decided to dabble in some triathlons and marathons and I soon realised that one particular activity was giving me a lot more joy than I thought it would. Fun times aside, cycling has also taught me that living with a mental health condition doesn’t mean giving up when all the doors appear to be locked. More often than not I find myself lost in the everyday stressors of my PhD or my work as a civil justice lawyer and it’s not uncommon to simply give in to the ever-present darkness. So when I get the opportunity to ride I do it without hesitation and I do it everywhere and anywhere. 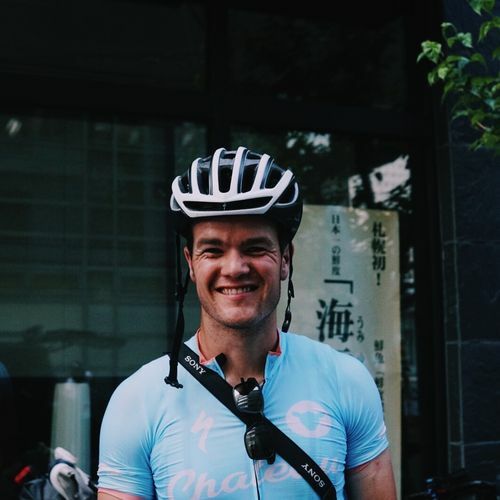 By participating in the Man Ride, by using the bike and by carrying the conversation of Men’s Mental Health far and wide, I feel I can help others liked I learned to help myself. Natalie will support Andy riding 1000km from Grand Junction to Boulder, Colorado. My name is Natalie Starr. I am a photographer and a cyclist based in Golden, Colorado. My participation in the Man Ride is led by a number of significant reasons. I, myself, suffer from depression and anxiety. It’s a battle that I am constantly fighting. But, I am a talker. While talking about my battle with depression has been difficult, the more I push myself to break the silence, the easier it becomes. But I am not participating in the Man Ride for myself. I am doing it for the men with mental health battles that I have loved and for the ones that I have lost. As I’ve gotten older; as I’ve fallen in love, had my heart broken, gained new friends, lost new friends, I’ve witnessed how hard it is for men to have the conversation about mental health. I’ve stood next to them, so overwhelmed with sadness and helplessness watching those that I love fight an internal battle that I cannot solve for them. My goal with my participation in this ride is to embrace conversation. If one person in my life, who suffers from this silence, is able to overcome their internal hurdles, then I’ve done my part. 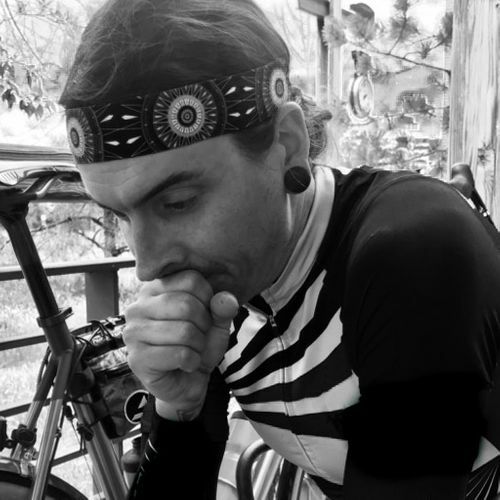 Andy will ride 1000km from Grand Junction to Boulder, Colorado. My name is Andy Stockman. I was born 1982 in the state of Kansas, USA. I found my love of cycling in college and that’s where I became a lifer, a term given to the folks in the industry that stay around bike shops far beyond their youthful years. As with most, I have had my ups and downs in this life. In 2017, I endured a severe patella break and was unable to ride for quite some time, not to mention perform basic functions like walking down stairs. It was during those, many, months of bed rest that I realised how much cycling meant to me and how desperate I was to get back on the bike. Riding along endless roads is where I go to be free and when that was taken from me, I was shattered. Turning cranks for hours is my meditation. Through that act of meditation, I clear my mind and rise above the din. Since gathering my fitness again, I have had an appreciation for cycling and the freedom it represents that I didn’t fully appreciate before. Cycling is an endorphin-boosting, depression fighting, agent of change… for me, at least. Big thanks to Black Sheep Cycling for raising awareness on such a crucial issue with The Man Ride. Gratitude eternal for my wife and best friend, Erin. Everything is nothing without love to see you through. 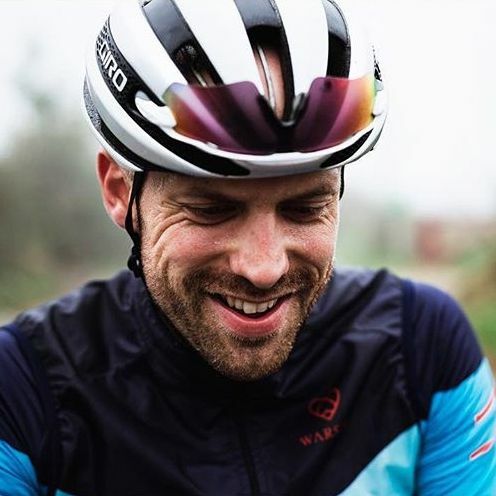 Ben will ride 1000km from Bogotá to Medellín, Colombia. My name is Ben and I’m from London, UK. I like riding my bike. So much so that I quit my stable office job of seven years and went to Colombia to ride. I was fascinated by the landscape, history and culture of a country that has produced some of the world’s best cyclists, but yet seemed so distant and otherworldly. Colombia was everything I hoped for and more. I started a company to host cycling tours there. It’s called PICO, which means peak. There are lots of peaks to climb in Colombia. When back in London, I dip my toes in the local racing scene with the RMNC team. Having witnessed first hand the very simple but powerful message of the Man Ride in London in 2017, I was really keen to be more involved this year. It's going to be a tough week! But knowing there are others on the same ride all over the world will be incredibly motivating. I'm excited to see the metaphor of suffering on a bike being translated into a conversation about real mental health issues. Carlos will support Ben riding 1000km from Bogotá to Medellín, Colombia. I am Carlos, a Colombian. Cycling is my life and I have been living on wheels from the age of three. My beginnings as an athlete were in speed skating, where I discovered my love for the bicycle, which I had to ride for training. I skated until I was 17, when I decided that cycling was what I really wanted to do. Motivated by my father, I began my career as a professional cyclist. 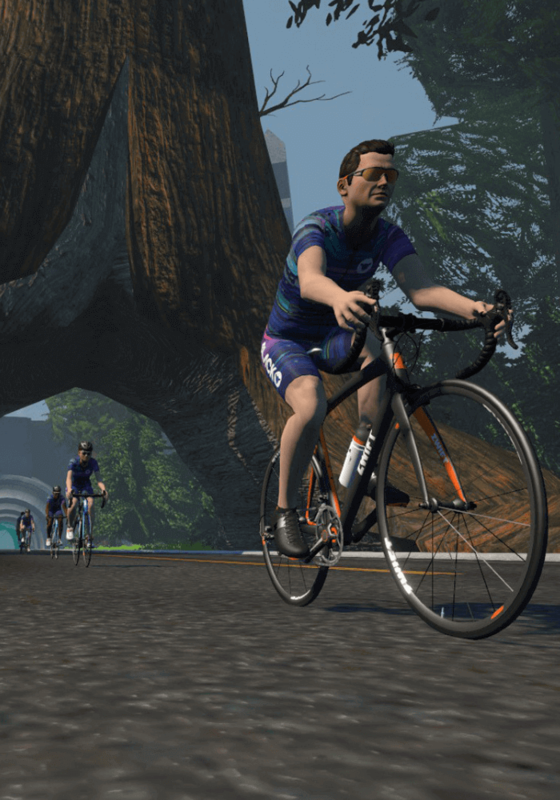 At 18 I competed in my first race, La Vuelta al Porvenir – the Tour of the Future. As no one knew me, they nicknamed me ‘Bianchi’ after the bike I was riding. The name stuck and I am still known as Bianchi today. I had the opportunity to race for teams such as Orgullo Paisa, GW, Une and other important Colombian teams. Unfortunately, when I was 26 I had to retire due to family matters. I still enjoy cycling, but I now apply my knowledge as a personal trainer, teaching and sharing my experience with my students. 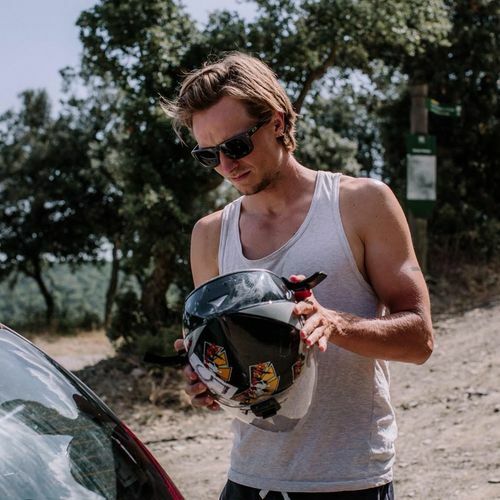 Oliver will ride 1000km from San Sebastián to Girona, Spain. My name is Oliver and I’ve been working as a photographer for 10 years. Mostly working in fashion and interiors. 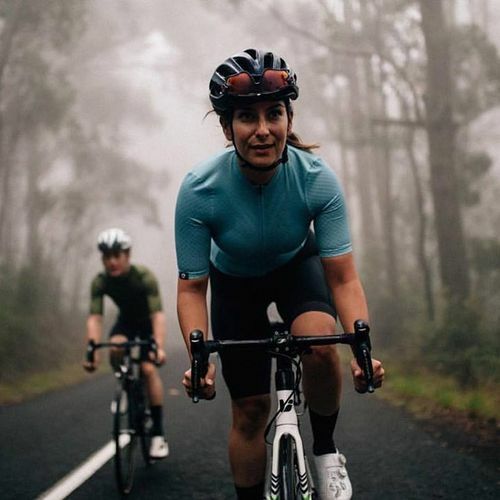 I moved to cycling because I found there was a special attention to detail and the possibility of working closely with the athletes, understanding their complicated personalities and telling stories. At the same time, I started cycling myself I feel it’s a good way to escape and explore your surroundings. Having grown up in South Africa, I recently moved to Spain from my birthplace of Denmark to satisfy my need for discovery and riding. 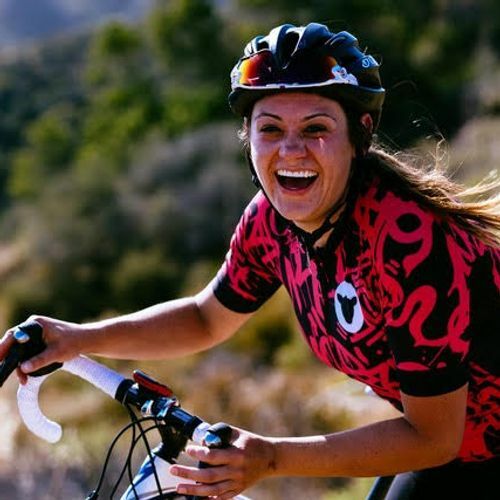 Even though I’ve never really been interested in big suffer rides, the Man Ride, for me, focuses on a rarely touched subject, and a cause I want to be a part of. I hope to be able to document as much of the experience as possible, as I’m sure the ride will affect that and me in many ways. Jojo will support Oliver riding 1000km from San Sebastián to Girona, Spain. As a documentary photographer, I love to tell stories. I have a background in photojournalism and documentary photography. 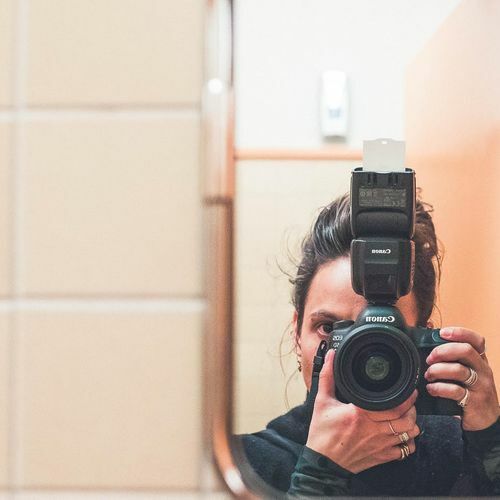 Through my love of sport and my brother's day job (professional cyclist), I found the bike and for the past few years, I have specialised in capturing the stories within the professional peloton. I currently live in Girona and have a contract with a pro team, which allows me to follow the World Tour. As cheesy as it sounds, I love to shoot what most people don't see. Anyone can turn on a TV and watch a peloton riding along, but not many people have the access to what I believe is one of the most brutal sports out there. I am excited and fearful of shooting and participating in the Man Ride. I have only been riding just over a year and predict it will be painful and emotional. I have had a history of mental health issues which have been helped immeasurably by my bike and my camera. Now, I hope I can help men suffering in silence the same way. Liam will ride 1000km from Brighton to London via Penzance, UK. My name is Liam Yates. I’m 24 years old from the Ashdown Forest in the south of England. My love for bikes started out in the forest where I grew up. I rode BMX all through my teens. After leaving school I got a job as a mechanic where I was introduced to road bikes. My father bought me a road bike and that was it, I raced local time trials before racing on the road all over the UK, including National Championships and stints in France. 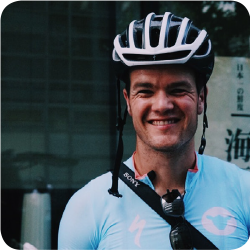 Always looking for the next exciting thing in cycling, I discovered fixed gear crits, and over the last few years, I’ve taken part in races all over the world, including the RedHook series. Taking on the Man Ride is my way of highlighting the issues some men face that not everyone knows about. I am doing it the only way I know how – through cycling. 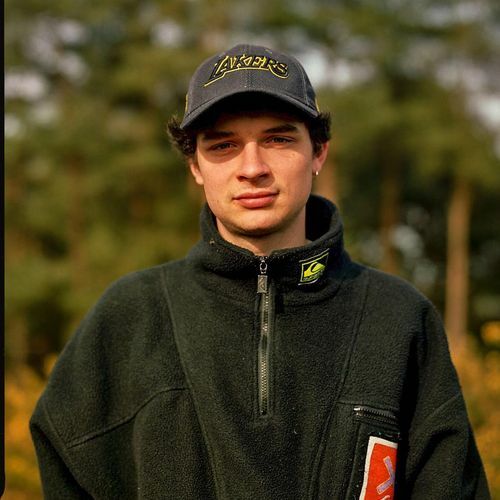 Jake will support Liam riding 1000km from Brighton to London via Penzance, UK. My name is Jake. I’m a photographer and gained an interest in photography at the age of 15. My friends all rode BMX and I was rubbish so decided to take photos of them instead! Aged 19, I moved to London to focus more on fashion. This was the same sort of time I gained an interest in cycling. After four years I realised that the fashion industry wasn’t for me, although it gave me some invaluable experience, everything just seemed a bit empty. In November 2017, I took a job at Sigma Sports as their Photographer and Videographer, and I haven’t looked back since. I’m lucky enough to work with not only colleagues, but friends, and I’ve gotten to be a part of some amazing projects - one of which is the Black Sheep Man Ride. I have never personally suffered from mental health problems, however, those close to me have and I’ve seen the effects it causes. For me, the Man Ride is a way to truly test myself both physically and mentally. I’m aware that there are going to be points on the journey that will be mentally and emotionally draining, but deep down I’ll know that it is still nothing compared to what some people have to go through and I think that is the biggest driving force for me.